QOTW: What do you make of the 2018 iPhones? You will no doubt have seen Apple do its thing and release an updated version of iOS and, of course, a number of new handsets this week. 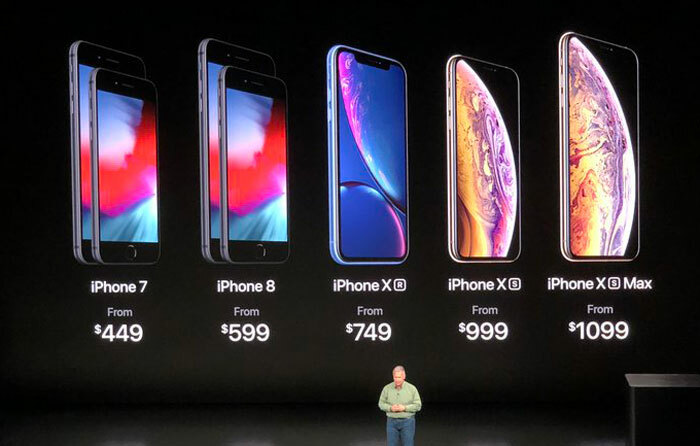 There's the 5.8in iPhone XS that's designed to replace last year's flagship, the XS Max outfitted with a 6.5in screen, and the XR, a 6.1in model outfitted with a lower-resolution screen and single rear 12MP camera. All these new iPhone X models build upon the iPhone X design of last year and are based around Apple's impressive-sounding, 7nm A12 Bionic SoC. This new SoC is claimed to be up to 15 per cent faster than the A11 Bionic and uses 50 per cent less power for CPU tasks, and it is up to 50 per cent faster than the A11 Bionic in GPU tasks. Meanwhile the Apple-designed Neural Engine introduced in the A11 Bionic has grown from two to eight cores and Core ML runs up to 9x faster, crunching up to 5 trillion operations per second (the A11 Bionic could process 600 billion operations per second, said Apple.) The new Neural Engine works alongside an enhanced ISP to deliver imaging features such as smart HDR, expressive Memoji, and front and rear camera AR experiences. Lots of tech talk. All good stuff, right? And you can easily compare them right over here. However, what we are interested in is what do you make of the 2018 iPhones? As good as expected? Better? Worse? Couldn't care less? We would love to hear your thoughts in the comments facility below. Indifferent. My phone coming up to two years old, so I won't be looking to replace it for at least anther two or three years at least. Typical Apple products. Expensive and nothing innovative and now too big for most handbags! Didn't Jobs have unfavourable opinions about large phones? Meh. But then any new phone: Meh. We've reached peak useful new features, I think. Apparently from the other iPhone thread,$400 is low end phone money and no one can challenge that. they've finally caught up with most high end android phones then when they said about water proofing.